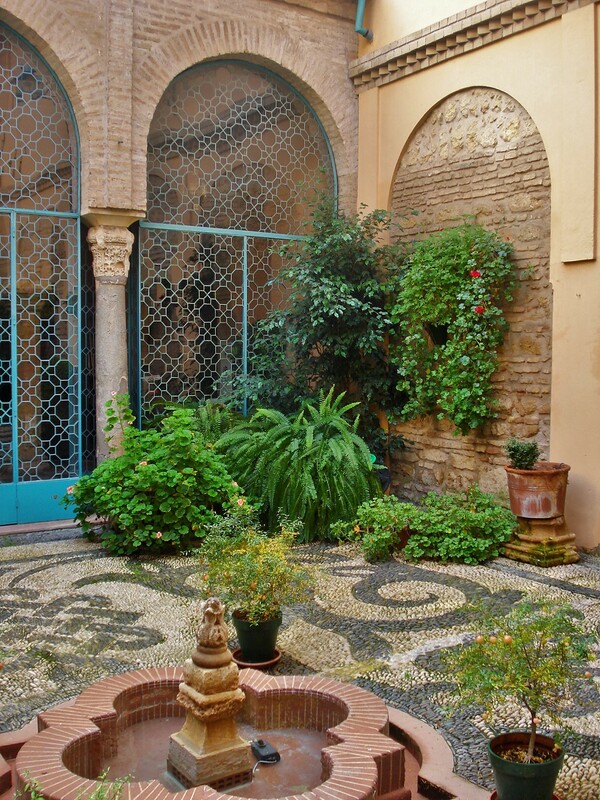 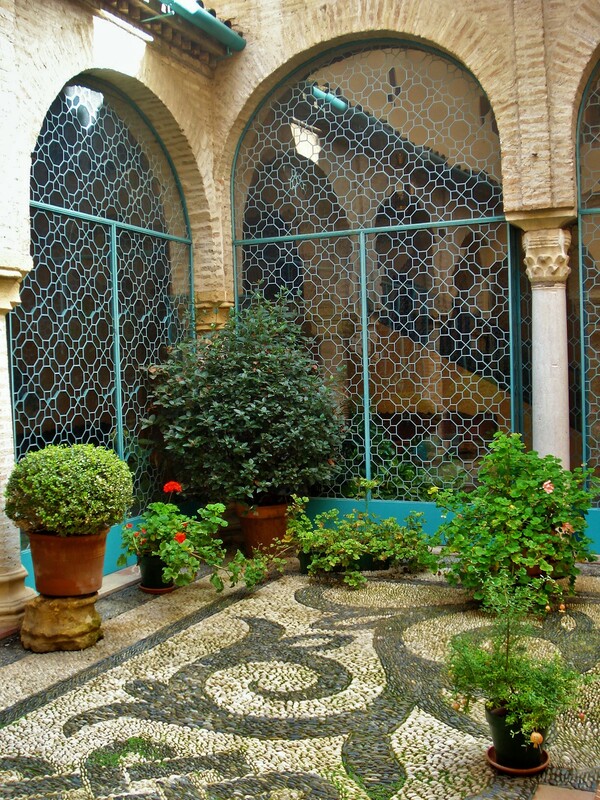 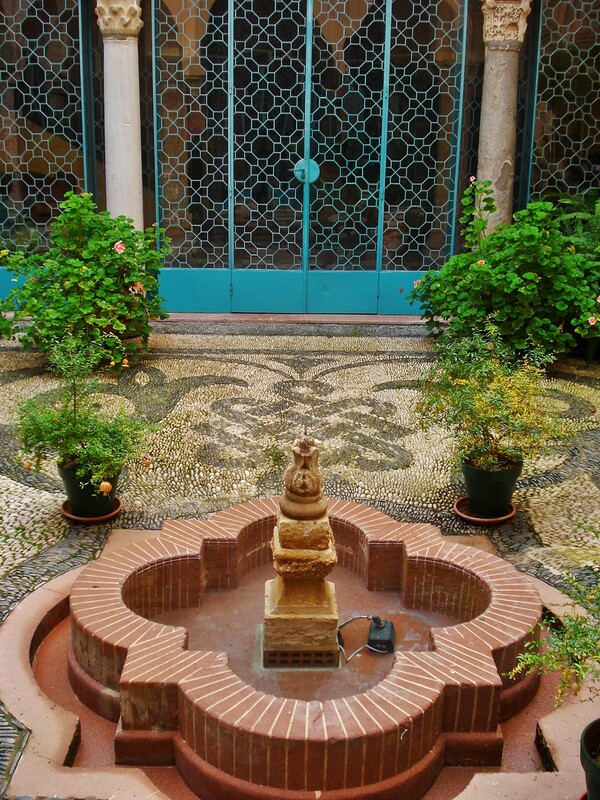 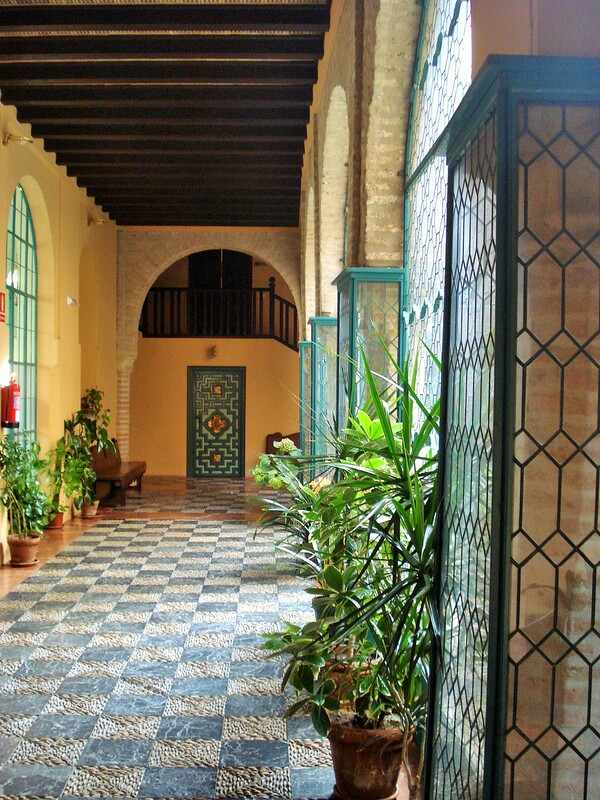 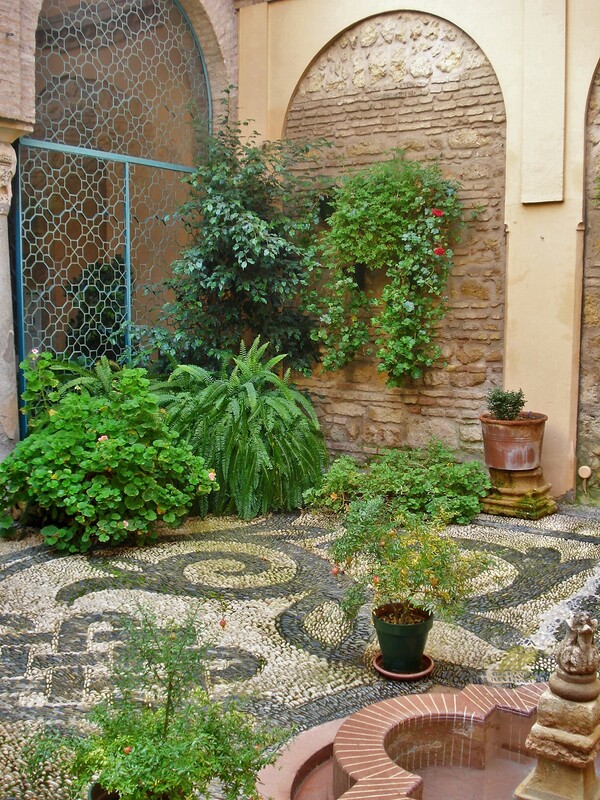 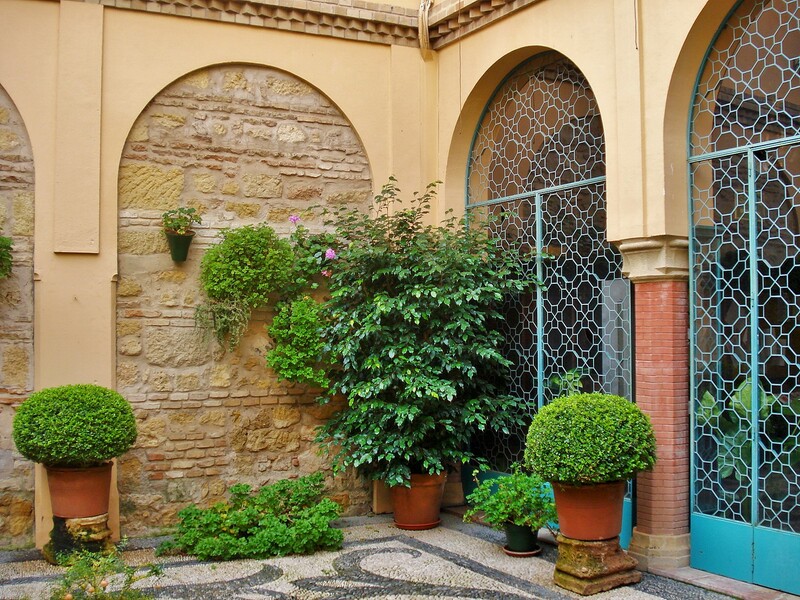 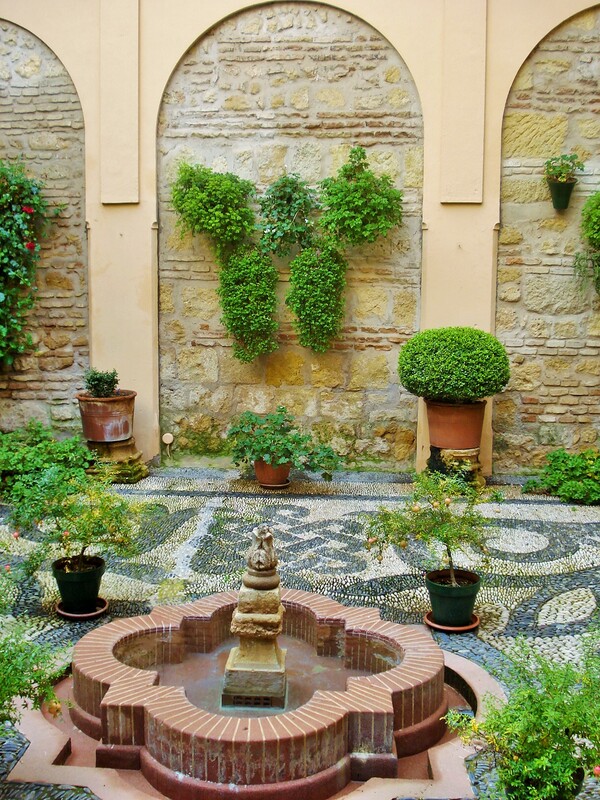 This Cordoba patio stands out even in a city where lovely patios and courtyards are the norm rather than the exception. 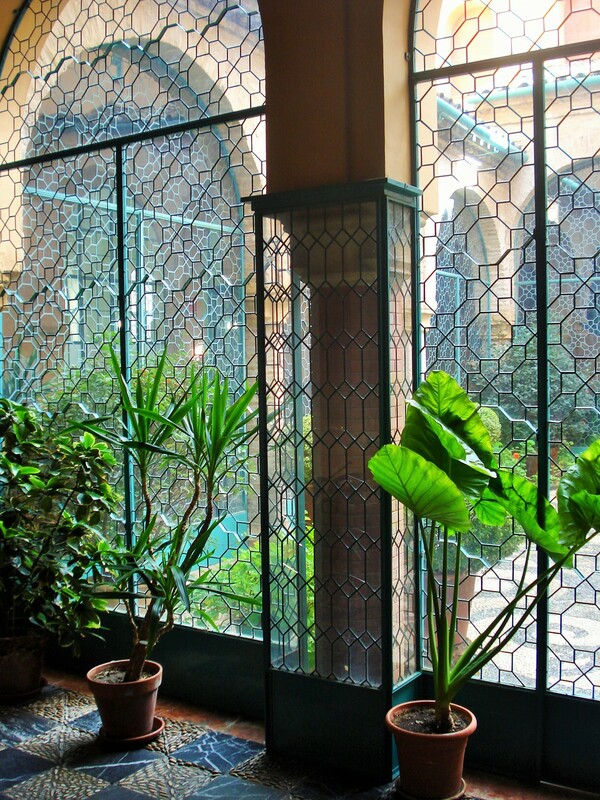 In an old building now used as offices for local government, the mezzanines have been glasses in all around to preserve the views while offering protection from the elements. 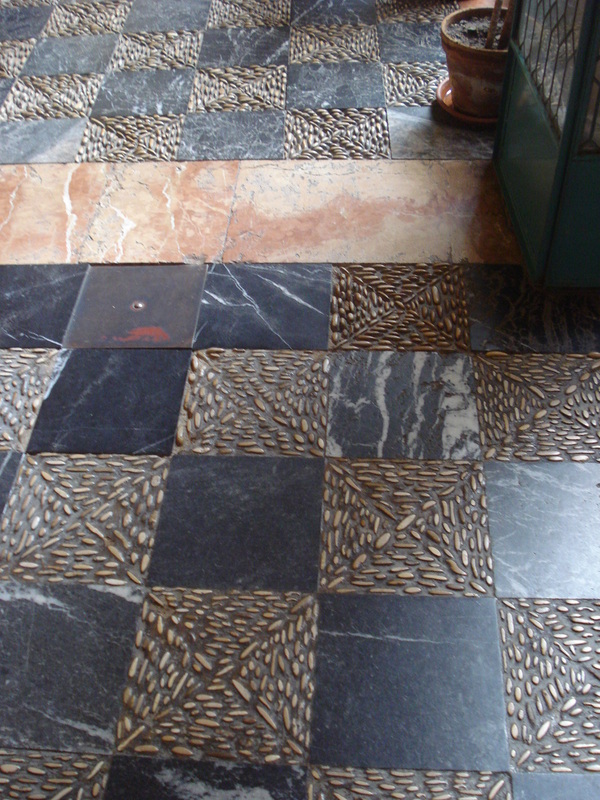 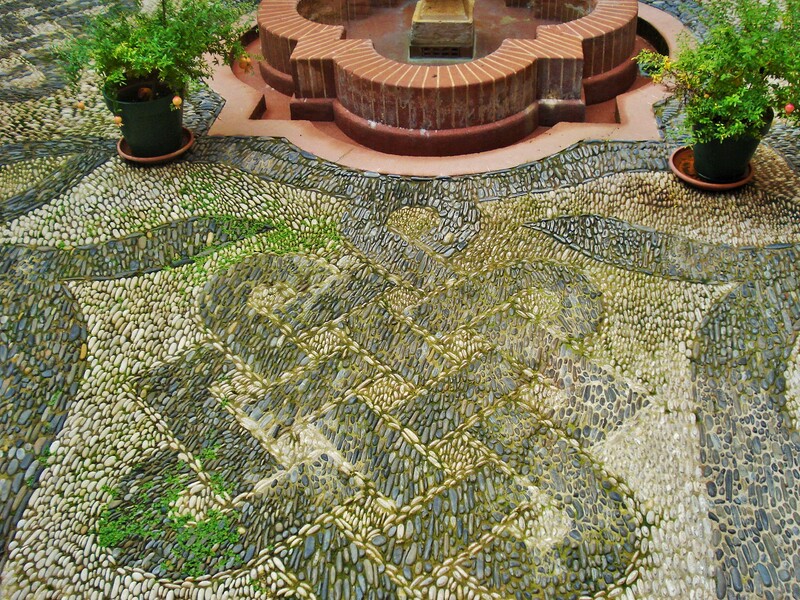 Note the lovely pebble patio design typically found throughout Andalusia.